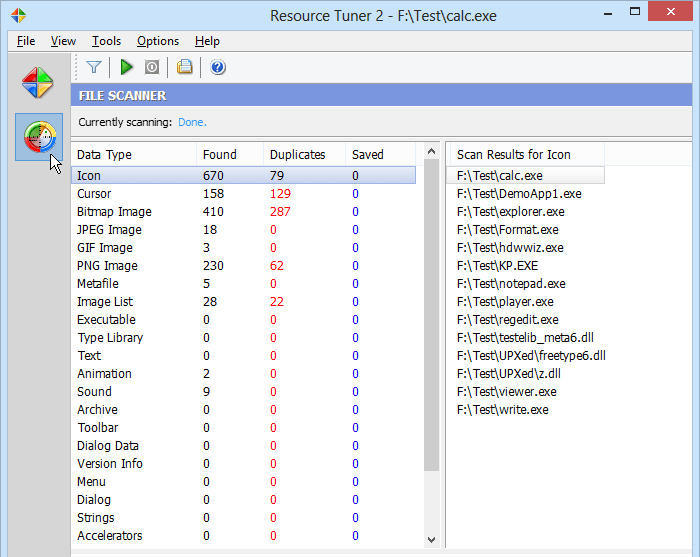 The Resource File Scanner is an easy way to scan the directories and drives on your computer and extract all it finds inside the executable files in any directory of your choice. You selectively choose what items stored in the resources will appear in the search result view. To enable scanning, you have to specify the search locations first by pressing the button or Ctrl+F. To start scanning, press the green button or F9. 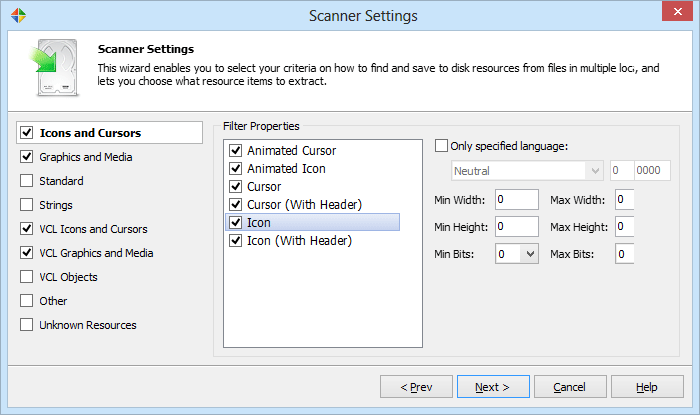 The Scanner preferences can be accessed from the File > Scanner Settings menu option. This three-step wizard offers you a variety of ways to select and organize your criteria. 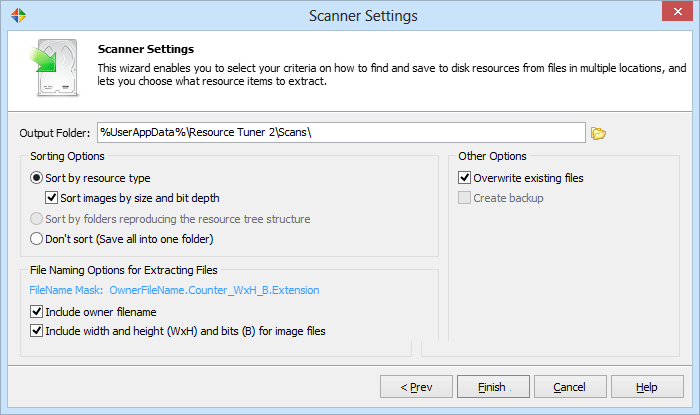 This lets you specify the default output folder for saved resource files, sorting and naming options.